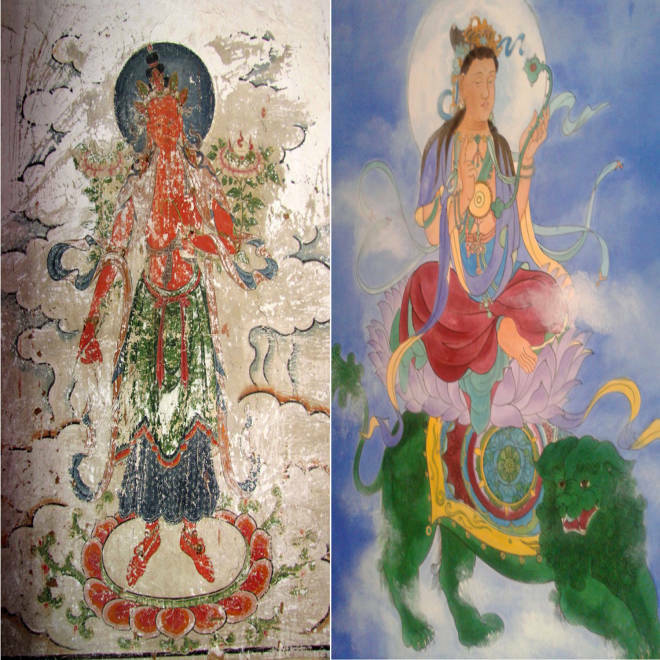 LEFT: This picture taken on April 3, 2011 shows one of the ancient frescoes that are now covered by cartoon-like paintings in Yunjie Temple in Chaoyang, northeast China. RIGHT: This picture taken on October 14, 2013 shows one of the current frescoes. 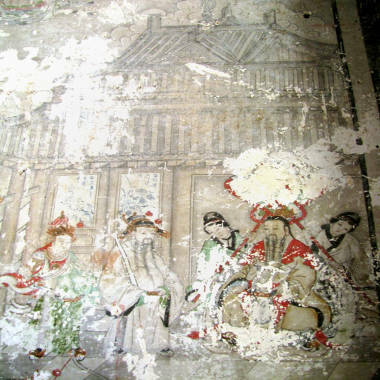 This picture taken on April 3, 2011 shows one of the ancient frescos that are currently covered by cartoon-like paintings in Yunjie Temple in Chaoyang, northeast China's Liaoning province. 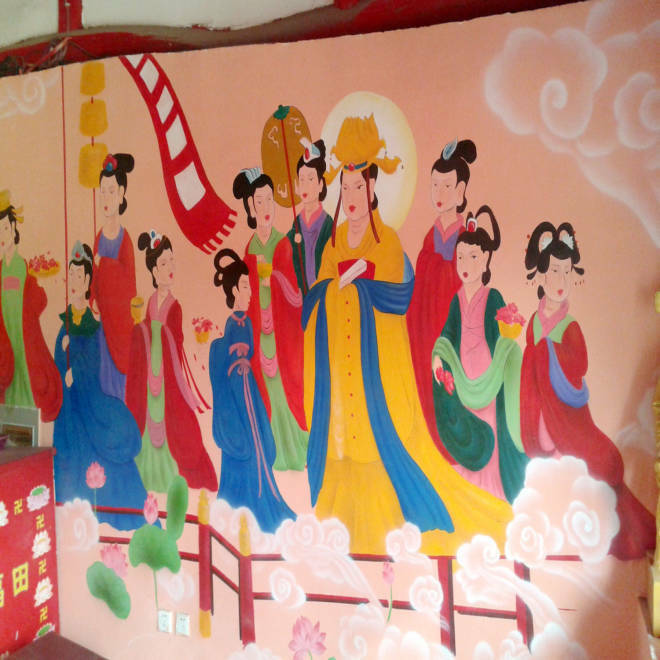 This picture taken on October 14, 2013 shows the current fresco in Yunjie Temple in Chaoyang, northeast China's Liaoning province.